These 4" white baseball candles are unique pieces of art which transform into glowing beauties when lit. 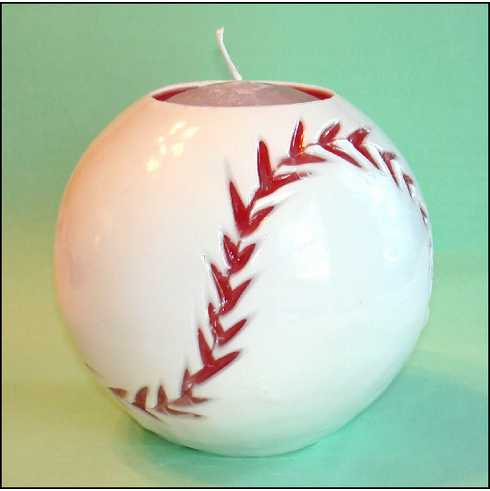 These glossy baseball candles are the perfect gift for anyone. The candle burns on the inside only while the outer shell remains for many years to come. The inner core can be replaced with a tea light allowing the candle to keep on glowing. These are all handmade in the USA...slight imperfections make each piece unique!